Would be interested if someone can make a thread with Buying a house vs Renting. As I am also looking into buying buying a place, because renting is starting to feel like I am making someone else rich with my hard earned cash. But you're not paying interest on a loan and can move whenver you want. Holy shiaat, 4 properties at 28 years old? R100 000 in satrix and R50 000 in his TFSA and more in a regular 7% savings account??? that's over R2 million in assets. And he's younger than me. shiaat. Wonder if this person actually exists? "Pinch of salt needed"
Yes, but he is R1,710,000 in debt (some of it at 13.5% with interest rates potentially rising). His monthly expenses will be pretty high too (4x levies, tax, insurance etc). If he is real he must be coining it at his age just to keep up. Well I am younger than him so that is my new goal! I want to write a question to moneyweb with that sort of numbers. Perhaps just do a search for "platinum"? 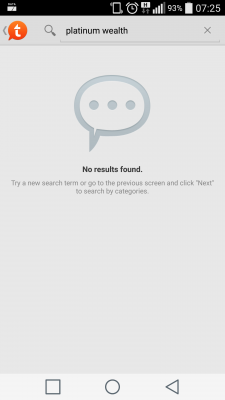 Looks like tapatalk prefer one word. Eish. 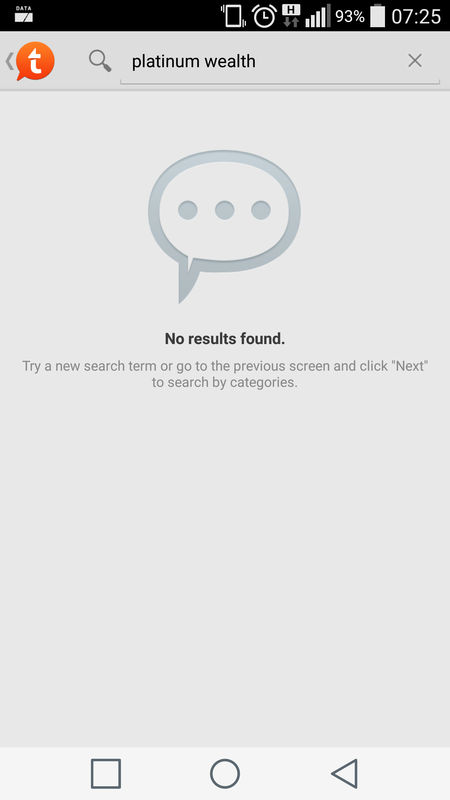 Not finding anything anymore, searched for android, iphone, xbox, xda, nothingcomes up!! Reinstalling. I left a bit of cash in my TFSA to buy something when a price looks good, since STXIND took such a big fall this morning, buying some at a big discount! The offer price is the same as the last traded price, does anyone here have a live prices account somewhere that knows whats happening to the INDI right now? Now to decide what to buy. At the same note surely the Top 50 listed companies will continue to outgrow in the coming years? I decided against MAPPSG and SP simply because the growth is less than inflation it appears. Why am I being Taxed in my TFSA I thought VAT is also a tax ( value-added tax (vat)) ? What they mean with tax-free is that you will not pay personal income tax on the return of your investment, eg. interest and capital gain. VAT is something else, Value-added-services and is not the same as your personal income tax. The broker charge you a fee and because they are registered for VAT, they must add VAT to their fee. So that is why you still have to pay VAT aka tax. Damn a$$holes I hate all taxes! thanks for the explanation that makes a bit more sense to me now. Wow this really explain the PTXTEN etf so good. I think I must bring my holdings in him up more. @Hamster you like the PTXTEN right? Simon Brown is just amazing I love him #Nohomo. When does PTXTEN pay out dividends? I do like it...as far as property goes anyway. I assume we are just in a bad time economically and this will phase over because today wiped out all my profit again. Tough month with about 40 odd domains up for renewal. But I am still aiming to put away another R6K this month into the TFSA, but I think I might come a bit short this month so realistically I am aiming for R4K at the minimum. As for the shares I am going to split it 50/50 into CTOP50 and PTXTEN like I did this month. Eish! That can't be a cheap exercise I would imagine. What is the percentage you guys pay on admin/management fee ect. when it comes to your TFSA? Do you purchase your ETF's with sums above 15k or less? Do you use brokers or banks? 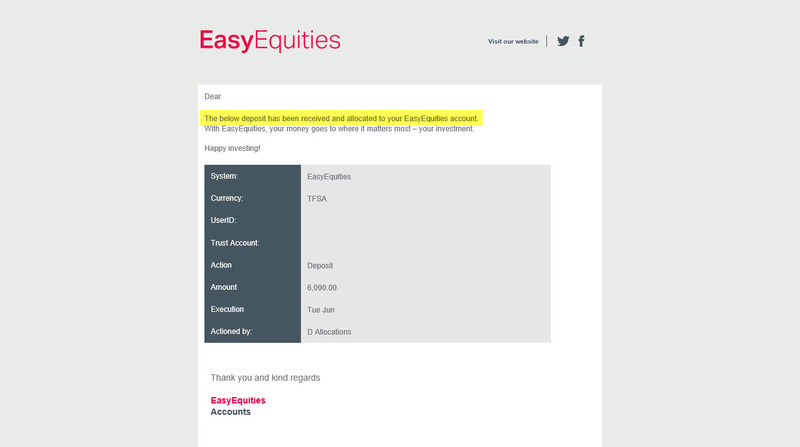 Personally I use EasyEquities.co.za for my TFSA/TFIA regarding the fees, I might be wrong here, but I think I only pay the fees included in the actual ETF price so I invest primality in ETFs classified as Collective Investment Schemes. Then regarding fees again might be wrong here, but I think SECURITIES TRANSFER TAX (STT), CAPITAL GAINS TAX (CGT), DIVIDEND WITHHOLDING TAX (DWT) ON DIVIDENDS EARNED and TAX ON INTEREST EARNED is all exempt. So no costs there. Then Easy Equities has no monthly fee and also no monthly investment limit so I put in however much I have that month available which I love this flexibility makes me more at ease for in case life happens. Then admin/broker fee. 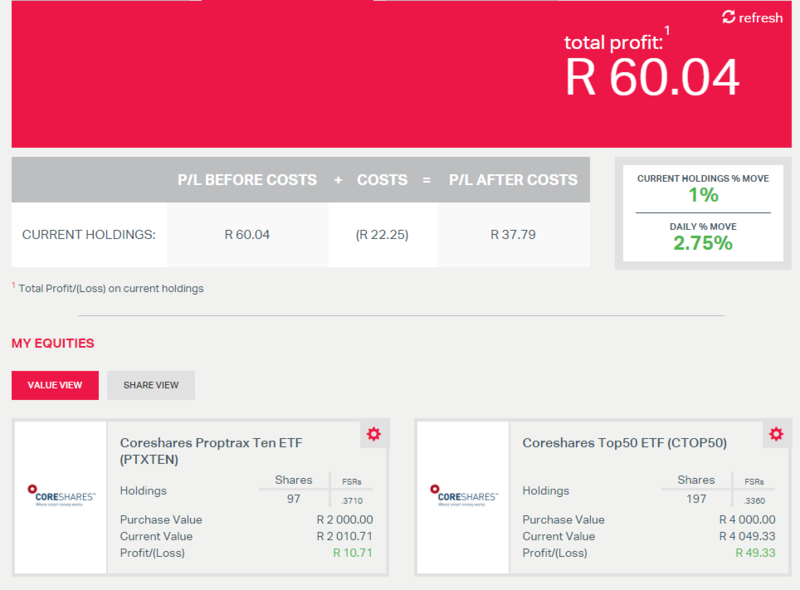 Easy Equities has a 0.25% brokerage fee, so investing R250 in my TFSA would mean I have R249.05 (99.62%) invested.